An interval for maintenance has been completed and the narrative of life at the Exbury Egg can be continued. 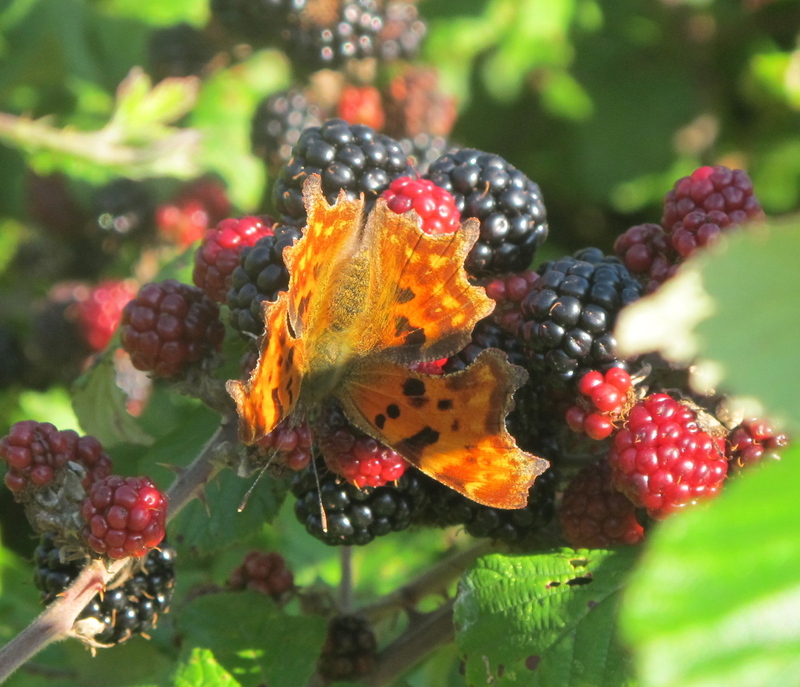 There is a hint of Autumn about the still sunny days and sugary juice from fermenting blackberries is providing food for wasps and a host Comma butterflies before their hibernation. 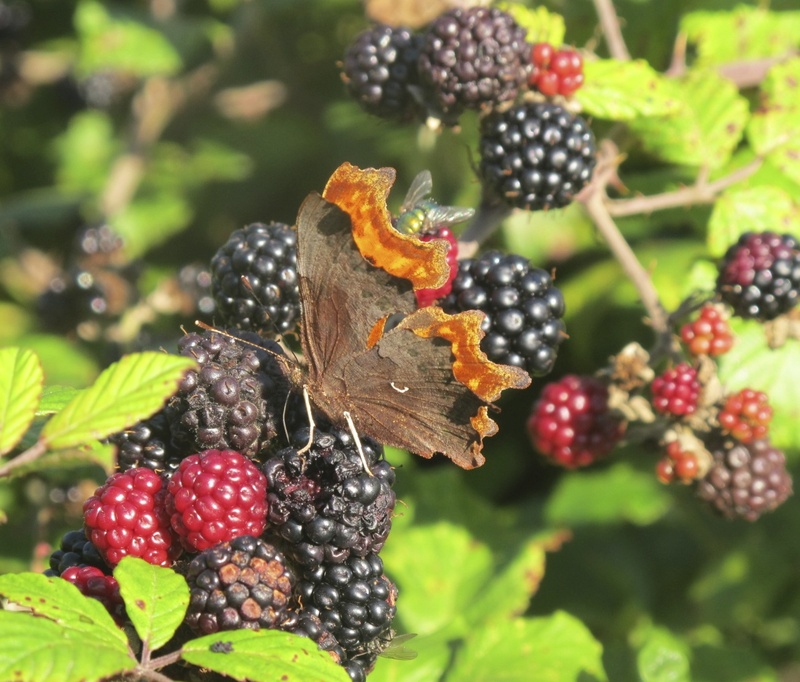 Known as Commas because of the distinctive silver shape on the underside of their rear wing, they are currently punctuating the fruity surface of the blackberry bushes with their raggedy edged orange and black topped wings.